The professionals at Byrd Aesthetic & Anti-Aging Center realize that the decision to have facial plastic or cosmetic surgery is an important one. Dr. Byrd and Dr. McCluskey have over 40 years of combined experience in cosmetic surgery and often treat patients who are concerned about the signs of aging including wrinkles, sagging skin, tired eyes, fine lines or even overall facial balance. 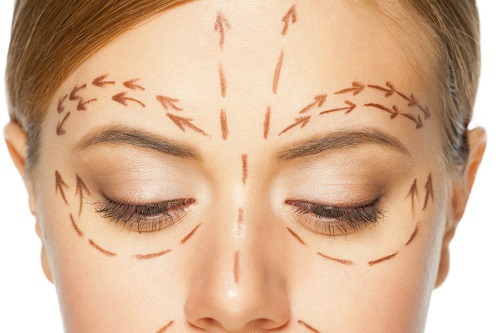 Facial cosmetic surgery can restore a more youthful, refreshed look to your face. Both doctors believe it is important to stay abreast of all the newest and latest available technological advances in cosmetic procedures; however, they only offers procedures that give the best outcomes for patients. Click on the links below to learn more about facial enhancement services available at Byrd Aesthetics & Anti-Aging Center. Dr. Marcia Byrd cares for patients throughout the United States and Canada. Locally, she services the North Atlanta, GA area including Roswell GA, Alpharetta GA, Milton GA, Woodstock GA, Canton GA, Dunwoody GA, Sandy Springs, GA and more. If you would like to make an appointment to discuss Facial procedures, call (770) 587-1711 and schedule a consultation. Be the best you can be and live a full life – there is no reason to wait!